Discover the wanderlust in you by flaunting Chiara Boho Necklace Set. The golden coins are charming as they dangle from this thick pendant with sparkling stones. Matching drop earrings. 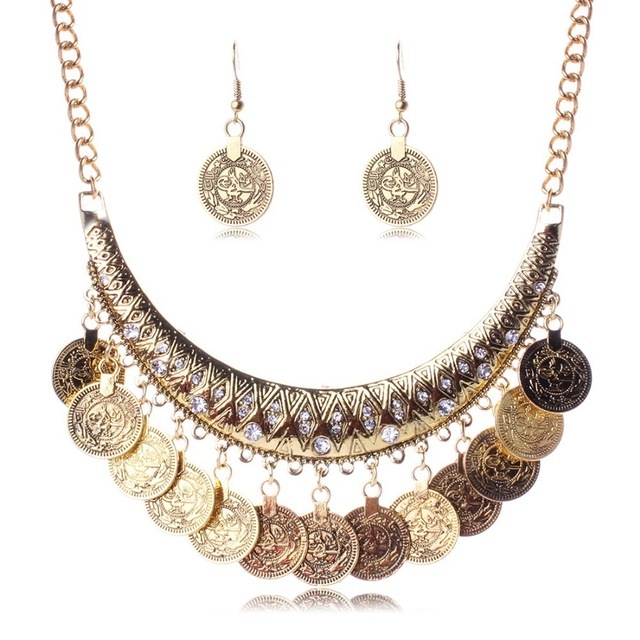 Purchasing boho necklace sets online here at Oz Bling is simple and fun. Feel most welcome to contact us for any help you may need.